Choosing the right display is vital for your work, gaming life and idle time. That’s true since you spend a huge part of your day looking at the screen and as such it pays to make the right choice. Fortunately, nowadays you don’t have to break your back finding an affordable monitor for your work. If you’re looking for a display for your day-to-day tasks, there a bunch of quality panels to choose from. AOC provides some of the budget panels for that category. The AOC E2260SWDN Monitor, for instance, is one such choice, mostly adequate for entertainment, basic business and productivity purposes. The AOC E2260SWDN Monitor fits the bill as a no-frills monitor. It offers the basic features, costs just enough and offers adequate performance. It should get you through run-to-the-mill tasks such as entertainment, basic business, and productivity tasks. We recommend it for the budget user looking for a low-end model with Full HD display and a few other niceties. 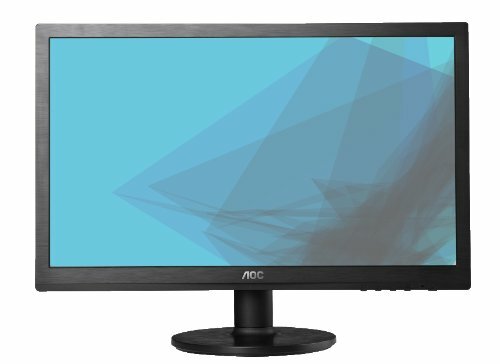 First of all, the AOC E2260SWDN Monitor comes in a decent black chassis made of a non-reflective coating. It’s a simple design made to appeal to the budget user looking for a functional display to accompany their desktop. From a gamer’s perspective, the design is quite standard and won’t appeal to gamers looking for a geeky or out-of-the-world design. In many respects, the AOC E2260SWDN’s aesthetics are not made to stand out. Therefore, its an inexpensive monitor for the home/office user. Secondly, if features are anything to go by, the AOC E2260SWD sports 60Hz refresh rate, 5ms pixel response, and brightness. One of the major selling points for modern monitors is refresh rate and the higher it is the better the display performance. This AOC monitor comes with 60Hz which is average. That means it should work perfectly fine under casual use like web browsing and watching multimedia. Other intense uses like gaming will end up with increasingly blurry images. That said, it fits as a great monitor for casual users. If you’re looking for a curved monitor, the Pixio PX347c Prime is a great option, with a budget price tag and sufficient muscle to power through most tasks. It should give you an immersive experience. As with every monitor, there are a couple of ports tucked away at the rear or bottom of the display. The AOC E2260SWDN packs a DVI-D and VGA input at the rear (under the black polished case and right above the stand). On the flip side, sadly it does not offer a DisplayPort, a USB port, or HDMI connectivity. You will notice that rear also has no VESA mounting. That means you won’t be able to mount your monitor to the wall unless you have an adapter. For a monitor to achieve the best possible performance, it has to have an assembly of specs capable of high performance. The AOC E2260SWDN doesn’t brag of much but it has a few respectable ones. While the display isn’t IPS and viewing angles aren’t exactly the best, it does sport a couple of other features worth mentioning. Key among those is the Full HD (1920 by 1080) display resolution. For this AOC 22-inch monitor, the Full HD works wonderfully and is a good choice for viewing multipage documents, watching movies and office work. Additionally, the AOC E2260SWDN LED monitor has a decent pixel response rate of 5ms. For gaming monitors, 1ms is the recommended rate but some monitors with as far as 6ms response rate can handle games without much ghosting and blurring. This should work impressively for your gaming desktop. 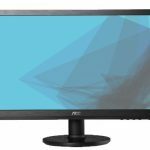 The AOC E2260SWDN Monitor is a decent low budget monitor with admittedly some design overlooks. Its design and aesthetics leave a lot to be desired for gamers. We were a bit disappointed by the unstable stand and lack of VESA mounting. Additionally, AOC should have included a few extra port options such as HDMI port, and a DisplayPort to allow other external devices to be connected. On the bright side, the AOC monitor does have great display quality. For a budget price, less than $100, you get Full HD display, 22-inch screen estate, and decent viewing angles. All in all, users in the market for a budget low spec’d monitor will enjoy the AOC E2260SWDN Monitor. We recommend it for users who value picture quality and don’t mind having a modestly designed monitor.